“It’s better to have been born lucky than rich” said my dad. Many many times during my growing up years. Every time something good happened to me, he would give me the thumbs up, smile and say these very words and I think he may have a point. What’s the point in being wealthy if you are poorly, in pain, have lost someone special or are unhappy? They do say it’s nicer to be unhappy being driven around in a limo than driving a clapped out old banger but in fact, some of the people in my life have very little but seem extremely happy. I know wealthy people who buy people’s attention and friendship, I do wonder whether, if the money dried up, those so called friends would still stick around. So, am I lucky? I should say so. I have two fantastic sons and despite the black days of Zachary’s autism diagnosis, we have come on in leaps and bounds, he is in mainstream school, is a great little drummer, wins many commendations for his work and all in all, things couldn’t be better. Dominic is now 17, growing up so quickly. He passed his driving test, attained his 1st Dan black belt for karate, has a lovely young lady and some very nice friends. My husband, John, arrived back in my my life in April this year, we hadn’t seen one another since 1982 and were both surprised to find the other was footloose and fancy free so we met up and married within three months. He’s gorgeous, I am very happy. My parents are in good health so all in all, I couldn’t be happier and I feel blessed every day of my life. What’s missing? I’ll tell you what’s missing shall I? Just a teensy weensy bit of recognition for my musical abilities. My fantastic army of Facebook friends and supporters voted three of my classical piano tracks into the Classic FM Hall of Fame chart this year (nos. 154, 273 and 299) but sadly, the station says they won’t play them. I can’t hold a gun to their heads so I’m being positive and looking for another avenue. 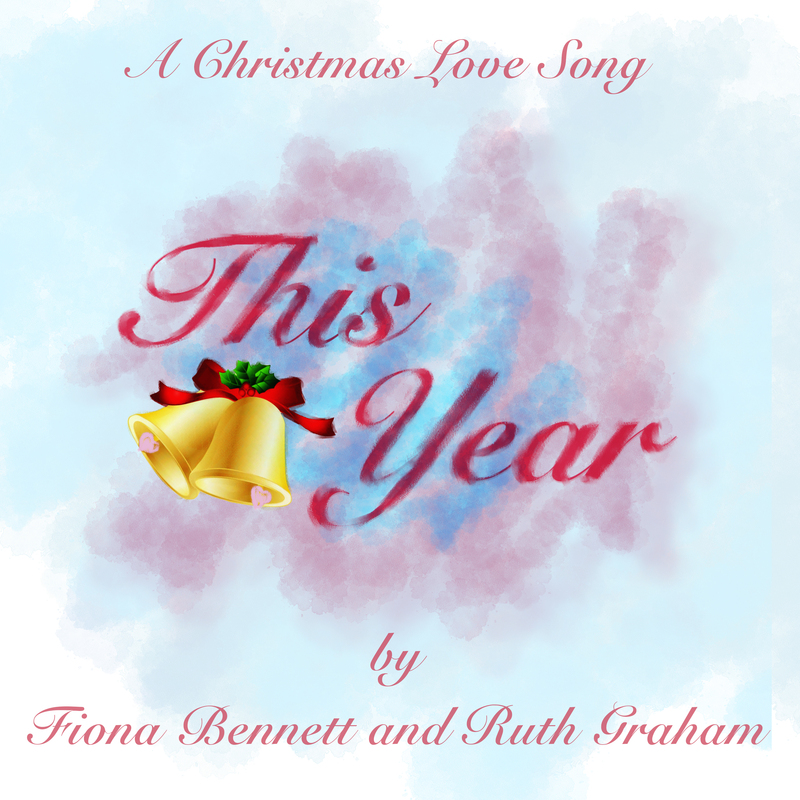 The other day, I had a minor brainwave and found the recording of ‘This Year’, a Christmas love song I’d co written in 1997. I had a listen and it sounded quite good so I got online and began the process of uploading the song to the internet stores such as iTunes and Amazon downloads. The song was written because my friend, Ruth Graham, and I subscribed to a monthly magazine called ‘Songlink’ which told of people in the music biz who might be looking for new songs. Allegedly Barbra Streisand wanted a new Christmas song so Ruth and I gathered around the old joanna and within a few hours, had written ‘This Year’. An unusual collaboration for me, I usually write all the music and someone else writes the lyrics but we both pitched in and wrote both music and words together. We duly sent it off to Babs’s management but I guess it ended up in the circular file on the floor? I registered it with the Performing Right Society and all the other publishing and mechanical societies and we recorded it on my album ‘More Than I Believe’. I performed it on Welsh telly (in Welsh obvs) and it had a few spins on BBC Radio Wales/Cymru but then, it was put away. I am hoping it will be available online in the next week or so and then, all systems go to promote it. If I never made a penny out of my music, I would just so love for people to hear it. This Year seems to have grabbed the imagination of those who’ve heard it and some of my newer Twitter pals have muttered things like ‘Radio 2/No. 1’ but I can only dream!